Researchers from the UCLA Henry Samueli School of Engineering and Applied Science have recently identified a key technique to enhance the performance of high-efficiency polymer cells, which has the capability to create lighter and more flexible solar devices in the future. The UCLA researchers led by Yang Yang, the Carol and Lawrence E. Tannas Jr. Professor of Engineering have discovered the main principles required for promoting the development of high-efficiency polymer solar cells. The food packaging applications of thin films with enhanced properties have attracted the interest of researchers. Two polymers that are commonly combined for such applications are linear low-density polyethylene (LLDPE) and ethylene vinyl alcohol copolymer (EVOH). LLDPE is a ductile and tough material that shows excellent structural properties, and EVOH has excellent gas barrier properties and resistance to organic molecules. A team of MIT researchers has developed a new, self-healing hydrogel that doesn't require surgical implantation, but can be injected using a syringe. The new gel, which can carry two drugs at once, allows for more convenient treatment of numerous conditions. While existing hydrogels, such as those used to create soft contact lenses, cannot have their shape easily altered once formed, the new gel combines two separate polymers with weaker linkages that can be broken and reformed. Researchers at the University of Illinois at Urbana-Champaign have developed a unique single-step process to achieve three-dimensional texturing of graphene and graphite. Using a commercially available thermally activated shape-memory polymer substrate, this 3-D texturing, or "crumpling," allows for increased surface area and opens the doors to expanded capabilities for electronics and biomaterials. Factory production rose less than forecast in January and home construction fell, showing the U.S. economy is off to a slow start in 2015. Output at factories climbed 0.2 percent and figures for the previous three months were revised lower, data from the Federal Reserve showed Wednesday in Washington. Total industrial production, which also includes mining and utilities, climbed less than projected as oil-well drilling slumped. Housing starts dropped 2 percent, according to the Commerce Department. According to the World Health Organization, approximately one and a half billion years of healthy lives are lost annually due to disease and injury, including preventable infectious diseases. These losses are not only devastating to the victims — they radically affect every aspect of social and economic life and the environment, particularly in developing countries. Instead of being productive and investing in the future, families must spend their resources on medical care and on simply surviving, which can lead to poverty and its accompanying environmental degradation. Plus, the afflicted often become unproductive and unable to work. The first plastic objects to be 3-D printed in space have been manufactured on the International Space Station (ISS) orbiting the Earth. The Zero-G Printer, developed by U.S. company Made in Space, was aboard a rocket which took off from Cape Canaveral, Florida, in September 2014. It has since been printing objects in ABS polymer on the ISS. In December it made a ratchet from a design that was the first to be uploaded from the ground control center, rather than from a file launched with the printer. Kistler’s uniquely combined p-T sensor Types 6188A…, 6189A…, and 6190CA… are robust and maintenance-free. 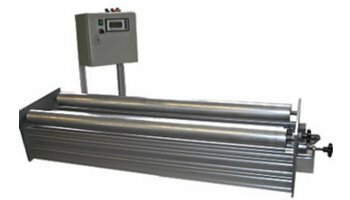 Capable of measuring the smallest pressure variations and/or temperature changes, they provide precise measurement solutions. Kistler is the only company to offer combination p-T sensors in three sizes: 1 mm, 2.5 mm, and 4 mm. Anxious pigs release more of the stress hormone cortisol, which affects the quality of meat. One of the main causes of stress is a lack of things to bite at, so stressed pigs are likely to start biting tails, and sometimes ears, of other pigs. On farms across the country, farmers have tried to keep their pigs happy with an array of playthings to bite into – everything from ropes to rubber boots. But now pigs have something to get their teeth into that they actually enjoy - a plastic gadget known as a Porcichew, developed by Addmaster and U.K. company Nutrapet. The Porcichew is a toy that is also impregnated with strong scents that appeal to pigs. What a difference five years can make — at least when it comes to proving the viability of recycling PET thermoforms. But while the market has gone from essentially zero to some 60 million pounds in just a handful of years, there's still lots and lots of room for additional for growth. Designed by leading U.K. industrial designer Jasper Morrison, the DP 01 is a digital enhanced cordless telecommunications (DECT) phone which focuses on simplicity and intuitive functionality. The Punkt uses acrylonitrile butadiene styrene (ABS) or polycarbonate/ABS blend for the housing. Steel is used inside the injection molded exterior housing to make the phone appear heavier and give it the high quality feeling of metal. The ear piece and battery door back rubber parts are assembled with a pressure sensitive adhesive. Kuriyama Tigerflex™ Voltbuster™ food grade, material handling hoses; specifically designed for high static applications such as the transfer of powders, pellets and other granular materials. With 1.9 billion servings per day, Coca-Cola relies on a number of ways to deliver beverages around the world: Fountain dispensers, glass and metal, for sure. But there is no material that the company calls on more than PET. The stalwart of soft drink packaging ships more than 60 percent of the company's volume each year to consumers, including 56 percent in non-returnable bottles and 7 percent in returnable bottles, according to Michael Knutzen, global program director for the company's PlantBottle program. Solvay is preparing to build a new specialty polymers resin production facility in Augusta, Georgia. It will be adjacent to Solvay's existing resin and monomer production units in Augusta and is expected to start operations in mid-2016. The company is also expanding its production capacity at its complex in Panoli, India. Manufacturing executives like what they are seeing on their balance sheets, are increasingly confident about the U.S. economy and plan to do more hiring and operational spending in the year ahead, a new survey from PwC U.S. reports. In its Q4 2014 Manufacturing Barometer, PwC found that 68 percent of senior manufacturing executives were optimistic about the U.S. economy, up from 57 percent in the third quarter. Optimism about the global economy also improved, to 38 percent from 30 percent in the last quarter. T.O. Plastics Inc. is ready to expand in food packaging to fuel growth over the next several years. The Clearwater, Minn., firm has been investing in thermoforming and sheet extrusion capacity and has set up a new management team to lead the growth, said T.O. Plastics President Mike Vallafsky in a phone interview. "We haven’t butted heads with the [food packaging] majors," Vallafsky said. "We will be selective in niche markets." For one 22-year-old Swedish engineering student, named Filip Sjöö, 3-D printing allowed him to come up with an invention unlike anything we have seen before. When most ordinary people get their first 3-D printer, they experiment by printing out simple little objects such as combs, mini Yoda figures, and other figurines. Sjöö, however, decided to jump right into an engineering project that he thought would be fascinating to create. He decided to 3-D print a fully functional water-powered dishwasher. A glimpse into how several companies handle their post-industrial plastic waste is producing some rather dramatic recycling numbers. A new report by the Society for the Plastics Industry Inc., shows that nearly 90 percent of all plastic manufacturing scrap is recycled or recovered for energy at companies who took part in SPI's membership survey on the issue. Researchers working at a multidisciplinary lab at the University of Sheffield have succeeded in helping a damaged nerve repair itself using a 3-D-printed guide. The nerve guidance conduits (NGCs) have been successfully used in animals, and the research team believes they can now be used to treat traumatic injuries — such as those caused by chainsaw or car accidents — in humans. Creating swarms of soft, robotic hands that can safely dissolve within a living body once they've performed surgical procedures or delivered drugs just got a step closer thanks to work done by John Hopkins University scientists. They've created minute biodegradable microgrippers by adding stiff polymers containing magnetic nanoparticles to soft hydrogels, allowing them be magnetically guided to any location in the body. The market for using recycled PET in bottle applications is getting stronger every year, which means the quality level of the recycled material needs to be as high as possible, according to one industry expert. But at the same time, NAPCOR President Tom Busard said, those same PET bales are under pressure due in no small part due to factors including increased contamination from single-stream curbside collection. We believe in working with our clients every day to keep discovering innovative solutions. With presence in over 70 countries, leadership in thermoplastics in the Americas and two state-of-the art innovation centers, Braskem offers the resources you need to develop new and even greater products for your clients.